Palm Oil has been one of the top soap making oils for many years but with the increasing problem of deforestation and the destruction of habitats, it has become imperative that we, as consumers of this oil, do our best to ensure that we are not part of the problem. By only purchasing sustainably produced Palm oil and by reducing our usage of this oil, we can instead become part of the solution. 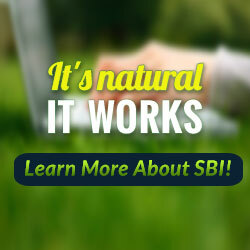 Before purchasing this oil, be sure to ask your supplier for details about their sourcing. A good supplier will be able to tell you that they get their oils from plantations that adhere to environmentally sustainable programs. If you would prefer to avoid using this oil completely, visit my page on Palm Free Soap Recipes. Common Extraction Method: Cold pressed from the fruit of the palm tree. Plant Origin: various tropical locations. Physical Description: There are two varieties of this oil. 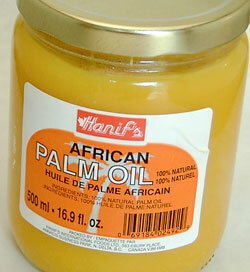 Refined, Bleach and Deodorized (RBD) and the unrefined version which is often referred to as African Palm oil. African Palm Oil is a fabulous orange colour and depending on how much you use, your soap will be anywhere from a creamy butter yellow to a lovely orange shade. The Refined oil (RBD) is creamy off white in colour. Both versions are slow to absorb into the skin when applied topically and will leave a greasy film. Aromatic Description: Both versions have very little in the way of scent. Soap Making Characteristics: Palm oil has become very popular with the shift to all vegetable soap making from the traditional use of tallow and lard. It is very high in palmitic acid which makes the soap hard and long lasting. This oil traces very quickly so care should be taken when using it with other quick tracing oils. Soaps made with Palm Oil will have a very nice stable, conditioning lather. It is often used in quantities of up to about 40% of the base oils in a recipe. Also note that it is advisable to melt a new container of palm oil, stirring as it cools. This will ensure that all of the stearic acid has been properly distributed throughout the oil. Recipe Suggestions: Visit the Handmade Soap Recipes page for a selection of recipes using this oil.